The United States is committed to supporting a coordinated and connected system to detect and respond to any disease threat. The Biological and Toxin Weapons Convention, or BWC, which came into effect in 1975, is a disarmament treaty that bans its signatory countries from developing, producing and stockpiling biological and toxin weapons. To keep up with the emergence of new threats, BWC signatories have begun to utilize the convention to help prevent bioterrorism, and to expand information sharing and communication that can be used to combat any pandemic, spread deliberately or otherwise. As such, some of BWC's mandates complement those of the World Health Organization, or WHO, whose major task is to combat disease, especially key infectious diseases, and to promote the general health of the people of the world. During BWC annual meeting in early December, member nations debated the potential of greater cooperation with international health agencies. Clearly, whether a disease enters a given population naturally, accidentally or is deliberately introduced, the response by authorities requires the same mechanisms and coordination among governments, health professionals and scientists. To defeat potential pandemics, it is crucial that the world community is capable of rapidly detecting, responding to and containing infectious diseases occurring anywhere in the world. Recognizing the need for cooperation among governments and health organizations, the United States is committed to supporting a coordinated and connected system to detect and respond to any disease threat. 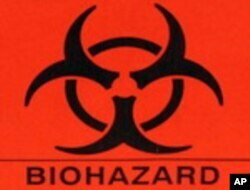 "Parties to the BWC have committed to assist one another in the event of a biological weapons attack," said U.S. Special Representative for Biological and Toxin Weapons Convention Issues Ambassador Laura Kennedy. "This commitment is complemented by the commitments under the World Health Organization’s International Health Regulations to collaborate in the detection, assessment of, and response to public health emergencies of international concern. "The United States believes that ... reaching our shared vision for the future requires a great deal of work," said Ambassador Kennedy. "To achieve the goal of an ambitious, consensus outcome ... we will need to share our ideas early, and listen carefully to the ideas of others; we will need to build as much common ground as we can, and then find ways to record that agreement. "The United States is committed to this goal, and prepared to work with others to do the hard work required."